On a bleak Saturday Morning, the athletes who would be running at Mansfield arrived at Monkseaton Metro Station to see the coach there waiting for them for the long journey to Berry Hill Park where the race would take place. 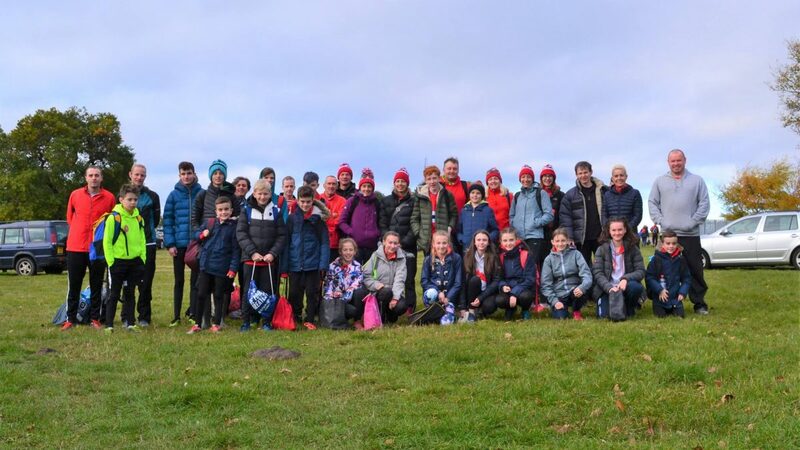 The first race was the under 13 boys, who would begin at 11:26 and run 2k per leg, for the Poly, Altogether, the team finsihed in a total time of 25minutes and 50seconds,which all of the team was highly satisfied with. 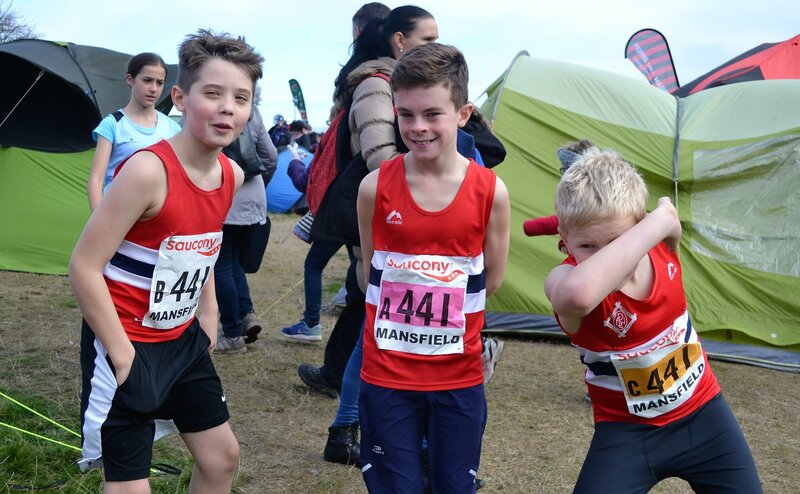 First to Run, was Benjamin Maley finishing 99th with a time of 8:20; handing on to Olly Hayes, who had an impressive run, finishing 85th on his leg with a recorded time of 8:51 and finally, Reuben Elsworth took to the course and crossed the finish in 8:38 bringing the team into 77th of 88, a super result bearing in mind 3rd leg runner Rueben saved the team from being incomplete only the previous day. After that was the U13 girls cosisting of Katie Joslyn, Lucy Fitzpatrick and Caitlyn Davies. On first leg, was Katie Joslyn who had a time of 8.07 finishing 48th on her leg. Soon after, was Lucy Fitzpatrick, who was 56th in a time of 8:42, then Caitlyn Davies who got a time of 8:31 finish 49th out of again 88 teams, and a combined time of 25minutes and 21seconds. A brilliant performance. Unfortunately, in the U17 mens race which was over a distance of 3k, there was one competitor (an incomplete team) consisting of Mark Nash. 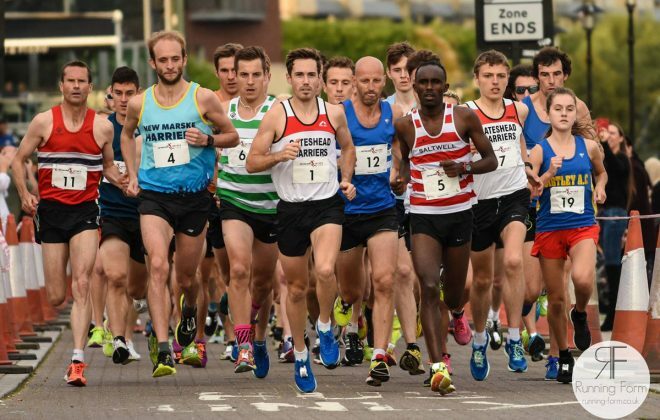 Despite being a lone competitor Mark still did outstanding in a time of 12:48 – particularly as his shoe came off and he had to carry it for the majority of the race. An outstanding run by an outstanding runner. In the next race, the U15 girls there was one team and another incomplete team. The complete team, was Holly Waugh who ran a time of 7:38 for the 2k course, finishing 48th on her leg. Next, was Gracie Davies, who ran a time of 8:09 finishing 49th on the 2nd leg. 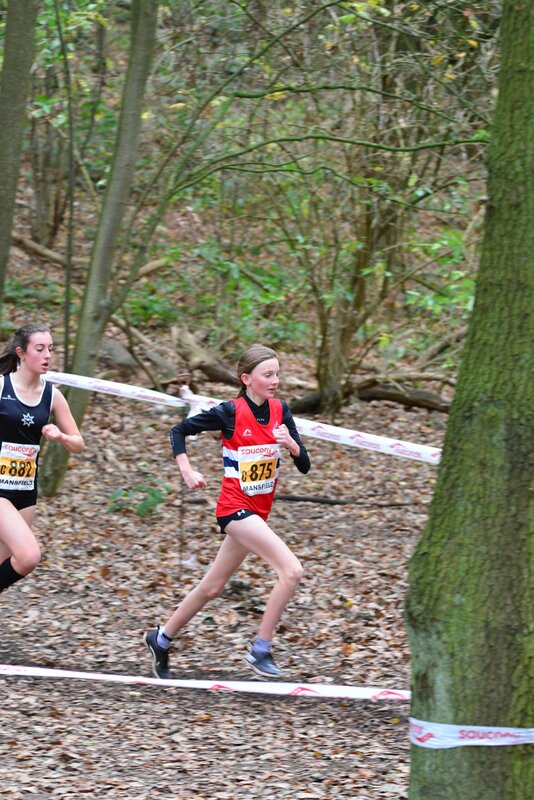 Following on, was Lily Robson with a time of 8:19 remaining in 49th of 93 teams. In the incomplete team, was Kirsty Nash having a time of 7:55, with Lucia Bradley running for 9:05 to show a successful race for all 5 athletes. 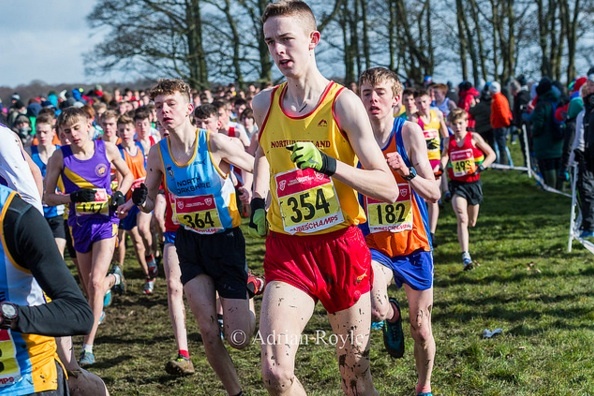 The next race was the U15 boys, where, first to run, was Josh Blevins, who in his first year in the category, finished 11th on his leg and had a time of 6:28, then, it was Ryan Eden’s turn, he finished 34th in 7:16. The final runner was Oliver Douglass who was 30th of all the 3rd leg runners with a time of 7:12. Moving on to the Seniors. First was the Senior Women’s race where incredibly they were the first team from the North East placing 45th, a stunning achievment. In this team was Carla Maley, finishing in 11:39, Louise Hayes, who had a time of 12:00, and Natalie Thorburn on 3rd leg completing a time of 12:17. (This race featured in the Monday Night Chronicle) This team was closely followed by the ‘B’ team in 59th position. This team consisited of Alison Smith, 12:33, Lourdes Bradley, 12:33 and Jenny Simpson in 13:21 for the 3k course. An amazing performance ladies. Finally, the Senior men set off on their grueling race of 5k consisting of 2 loops. Will Robson starting the ‘A’ team with a time of 17:21 as well as Scott Ellis in a time of 19:06 and the 3rd, (but not final runner as the men’s teams consist of four competitors), Graham Cook, 17:29, then, was Vaughan Hemy, who did an incredible job as team captain throughout the day so deserves a mention, in a time of 20:23, meaning the team was 77th. In the ‘B’ team was Alan Turner in a time of 21:08, Jason Nash in 23:56, David Morris in 30:26 and last but not least, Spencer Brown, in a time of 33:35. Yet again, it was a memorable day out with tons of fun being enjoyed throughout the day and on the bus. 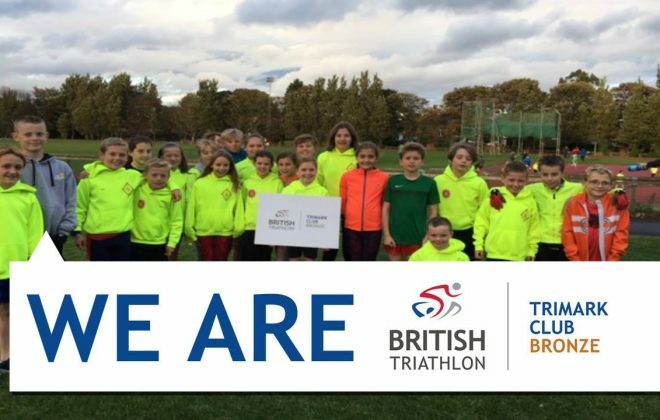 Special mentions are owed to coaches Lee Morgan and Mel Carr, who travelled and supported every runner and I believe I speak for every runner that they could not have done it without their support and cheers.